Own B&B and adventure race around the world. raised two step children, Cody and Spring, 31 & 32 years old now. Practice enviromental law or work in the forestry industry. Live in the Northwest ....Alaska? fishing industry in Alaska, Airline in Alaska, United Airlines city/regional/country manager in cities around the US & 6 other counrtries - 23 yrs. I had been busy with a corporate career with United Airlines and was heavily involved in sports after the age of 22. Raced with the US cycling team, cross country ski team, and the United States Canoe and Kayak Team. Was a CATII road racer, and CAT III road coach for USA cycling. 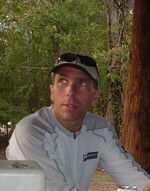 Founder of several Mtn bike racing clubs and coached jr riders. Raced in NORBA's Expert division for 11 years. Coached outrigger canoe and raced competitively around the Pacific for 6 years. Coached and raced dragon boat while living in China for 6 years. Raced in marathons, triathlons, duathlons and similar events until getting into Adventure racing 20 years ago. Now compete regularly around the world in various "ECO Challenge" type events lasting from 1-10 days. The Bed and Breakfast (Baer House Inn) In Vicksburg has fit into my sports schedule now, and after nearly 11 years of living in various countries it is nice to be back in the US. home has been in China, Japan, Micronesia & Europe. It was an odd year that I DID NOT travel at least once around the world. Doug Cousineau has a birthday today. Doug Cousineau updated profile. View. Baer House Inn - 1870 Victorian in a historic town along the Mississippi River. Adventure race in the Atchafalaya Swamp Basin - Louisiana. 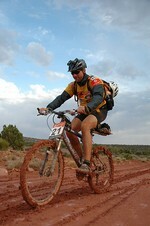 10-day adventure race in Utah.